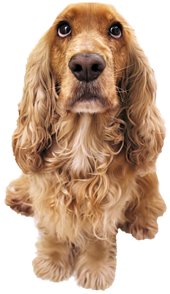 Blackstone Animal Clinic is proud to serve the Blackstone, VA area for everything pet-related. Our clinic was established September 23, 2003 and is run by Dr. Anne Carr, who is a licensed, experienced Blackstone veterinarian. We moved to our new spacious and modern clinic on November 11, 2011. By expanding our facility, we have been able to offer our patients not only the very best care, but a much more comfortable and inviting environment. And we are still so excited about our new space, that we love showing it off. Ask for a tour next time your in. Blackstone Animal Clinic also expanded our capacity for pet boarding in our move. We have spacious condos for our feline guests and comfortable canine accommodations from the tiniest Yorkie to the grandest Great Dane. We are always happy to give a kennel tour if you would like to see your pet's accommodations. Our team is committed to educating our clients in how to keep your pets healthy year round, with good nutrition and exercise. Blackstone Animal Clinic stays on top of the latest advances in veterinarian technology and above all, remembers that all animals and pets need to be treated with loving care in every check-up, procedure, or surgery.